In this hyper-connected technology-driven world, information that we share with others means a lot. Whether you are communicating through calls or text messages, they share a special place in your heart. In maintaining good health of the iPhone, users often clean unwanted files, which also include the text messages. The likelihood of you being one among them is high. If you have deleted accidentally, then feeling depressed and lost is natural because of losing all the valuable data. However, you now have the chance to undelete text messages iPhone. 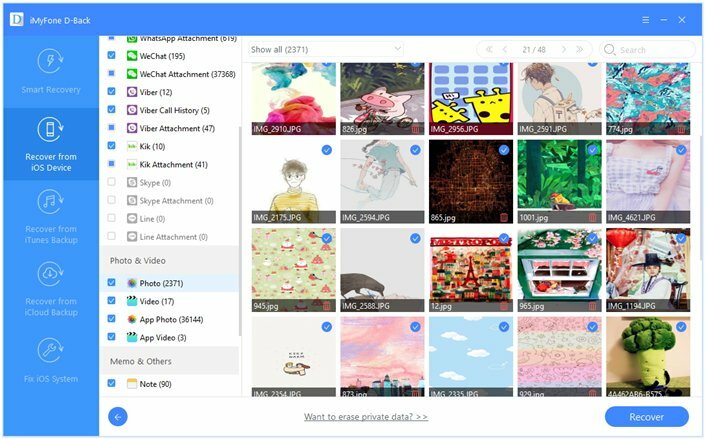 It supports over 22 different file formats such as photos, contacts, WhatsApp message, Kik message, Skype message etc. 4 different recovery modes: Smart Recovery, Recover from iOS Device, Recover from iTunes Backup/iCloud Backup. Preview functionality that gives you the glimpse of the files that are recoverable. It provides complete support to all the variants of iPhone, iPad, and iPod Touch. 1. Launch iMyFone software once you have downloaded it from the iMyFone official download center. 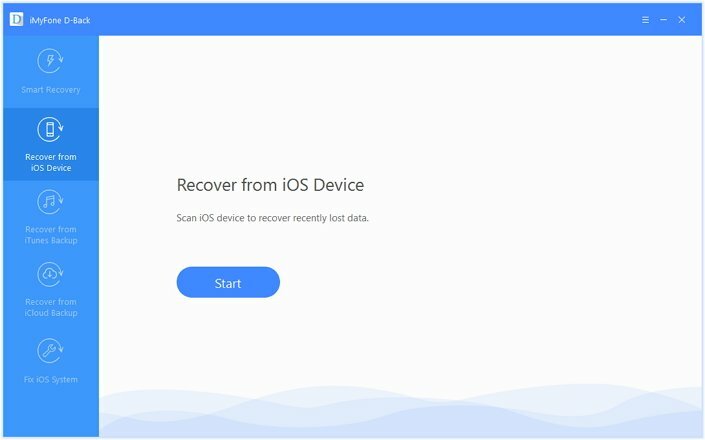 You can then click on the “Recover from iOS Device”. Then, click the “Start” button to begin the process. Now, you will have to select “Message” under the “Message & Call log” section. You have the chance to pick multiple file formats in this step. Once you have selected the choices, iMyFone will prompt you to connect your iPhone to the computer. Once the program detects the phone, it will display the same in the main window. You can then begin the scanning process by clicking the “Scan” button. 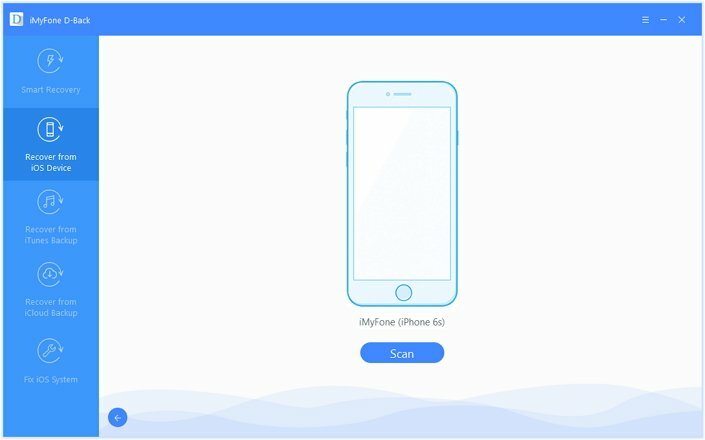 2. iMyFone will display the recoverable messages from your iPhone once the scan is complete. You can check the “Message” tab to recover the entire data or see only the deleted messages by clicking “Show only deleted files” option. Click the “Recover” button once you picked the files. 3. A small dialogue box appears on the screen asking you to select the folder where you would like to save the recovered messages. You can direct to an existing folder or create a new folder. After redirecting, the program will finish the process of recovering the messages in a few messages. The following recovery steps are only helpful if you have a backup in your iTunes. 1. From the main window of iMyFone D-Back, select “Recover from iTunes Backup” tab, and choose the file format that you want to recover. In this case, you will have to check the “Message” box. 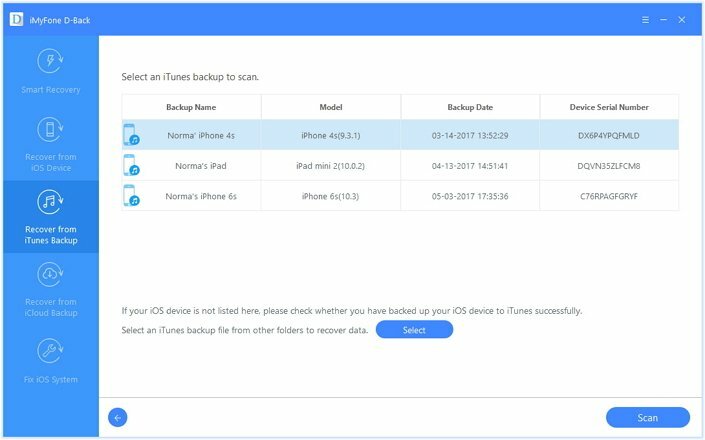 iMyFone D-Back will display the available backup files. You will have to select the preferred file and click the “Scan” button. It takes a few minutes to complete the scanning procedure. 2. The scanning results will display the recoverable message files. You can check all the messages or select a particular by choosing “Show only deleted files” option. Click the “Recover” button to begin retrieving. 3. A small dialogue box appears asking you to select the destination folder. Once selected, the program will complete the recovery process and store the files in the chosen folder. 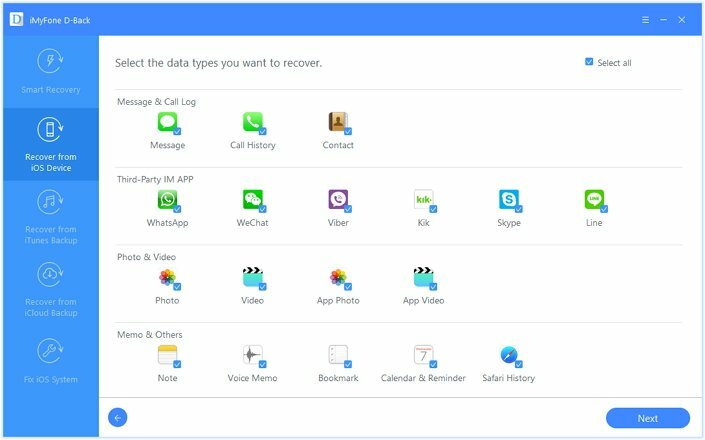 With iMyFone D-Back or iMyFone D-Back for Mac giving the chance to undelete all the messages, you no longer have to worry about losing the data. You connect your phone and follow the steps mentioned above to retrieve all the message files safely. Note: If you have lost your precious pictures, read the tutorial here to retrieve them in three simple steps.